The business magnate was bitter with the manner in which our local journalists carry themselves and act “fake”. 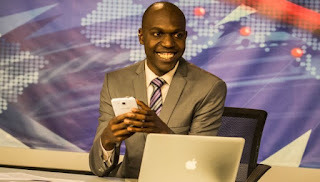 Larry Madowo, the man behind The Trend, a popular television show that is aired by NTV, decided to pounce at Chris Kirubi though it was indirect. He used his position as a columnist in the Daily Nation newspaper and expressed his thoughts. Here is what he wrote: "... In the midst of the hot mess of international reporting out of Kenya, whom did everyone on social media attack? The Kenyan media, naturally.